P&G Beauty is the unit within Procter & Gamble which manages what was until recently a substantial portfolio of cosmetics, haircare and fragrance products. It is still a big business, but a huge chunk of the division was divested in 2016 to rival Coty. Only 12 of the biggest brands remain, including billion-dollar sellers Pantene, Head & Shoulders and Olay. The group's collection of male products is led by the rejuvenated Old Spice brand, subject of one of the most talked-about (and imitated) marketing campaigns in recent years. The sell-off to Coty represented a major retreat for P&G. Following a series of acquisitions, P&G had been pressing hard on the heels of market leader L'Oreal in both beauty products and fragrances by the late 2000s. However, the business stumbled after 2010 as sales and market share growth of multiple key products stalled or even declined. At the same time, L'Oreal strengthened its lead, and a string of acquisitions by Unilever had pushed P&G back into 3rd place again by 2013. Fixing those problems became the single most most important goal for reinstated group CEO AG Lafley. However, with no significant turnaround after two years, Lafley adopted a new strategy. In 2015, P&G agreed to sell around a quarter of its beauty business, including CoverGirl, Clairol, Wella and the fragrance business to Coty. That deal completed in Oct 2016. Adbrands Daily Update 12th Dec 2018: P&G added to its beauty portfolio with the acquisition of Walker & Co, a premium personal care specialist targeting the African-American market. Founder Tristan Walker will continue to lead the business, which currently markets two main products: men's shaving care range Bevel and women's haircare brand Form. P&G Beauty chief Alex Keith said the purchase "will allow us to accelerate our consumer understanding and relevance in the very important and growing multicultural consumer space. Tristan and his team have done an incredible job in understanding the needs of African-ancestry consumers and creating propositions that are really meaningful." No price was disclosed. Adbrands Weekly Update 19th Jul 2018: Procter & Gamble added another niche premium brand to its beauty portfolio. US-based First Aid Beauty - or FAB - was acquired for an undisclosed sum, and will continue to operate as a separate brand business under founder Lilli Gordon. 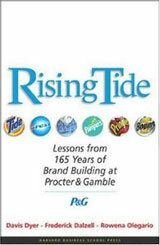 "P&G has bought other brands before and hasn't been successful," said divisional president Alex Keith. "What we're doing very differently this time around is treating those businesses as standalone, often with the founders staying with the brand." It is the group's third beauty purchase this year after Native additive-free deodorants and New Zealand's Snowberry prestige skin care. Adbrands Weekly Update 23rd November 2017: Procter & Gamble returned to the acquisition trail with a small purchase for its beauty division. The group has acquired direct-to-consumer deodorant brand Native for an undisclosed sum. The company specialises in "natural" deodorants made without added chemicals like aluminium or paraben. "We've really been focused on this fast-growing segment of the category with consumers that are really discerning and deliberate about the ingredients that are in or not in their products," said Bill Brace, VP, P&G North America Beauty Care. Adbrands Weekly Update 15th Jun 2017: P&G has promoted Alexandra Keith to president of the slimmed-down P&G Beauty division, following the departure of Patrice Louvet to become CEO of Ralph Lauren. Keith was previously president of global skincare; she is replaced in that role by SK-II brand leader Markus Strobel. Following the divestment of more than 40 mostly prestige brands to Coty, P&G is left with a core of 12 mass-market brands led by Olay, Pantene, Head & Shoulders, Secret and Old Spice. Its sole remaining prestige brand is the super-premium SK-II skincare range, also one of the division's strongest performers in recent years. Adbrands Weekly Update 6th Oct 2016: Coty completed its acquisition of Procter & Gamble's specialty beauty brands on Monday this week, creating a new giant in the global market. Brands joining the Coty stable include Covergirl, Max Factor, Clairol and Wella, as well as the Gucci and Hugo Boss fragrance licenses. Coty's annual sales will more than double to around $9bn, and it becomes the global #1 in fragrances, #2 in professional haircare and #3 in colour cosmetics. At the same time, Camillio Pane moves up to global CEO of the enlarged business under chairman Bart Becht. The other big winner from completion is Publicis Group's Zenith Media network which takes over responsibility for all the transferring brands from Starcom, MediaCom and other former incumbents. Creative duties will change in due course. Currently, Grey handles creative for most of the brands affected, with Saatchi & Saatchi and Leo Burnett also involved in some markets. Free for all users | see full profile for current activities Procter & Gamble's first real move into the beauty sector came in the mid-1980s, as a result of increasing competition in the US market with Anglo-Dutch conglomerate Unilever. The two companies already competed in detergents, soap and oral care products, but both had begun to see the growing attraction of the personal products sector. Procter & Gamble's presence in this market was modest, limited mainly to its Ivory soap, but Unilever was already a major force in hair care and deodorant, and attempted to develop this presence in 1984 with a hostile bid for American company Richardson Vicks International (RVI). Although this business was primarily involved in OTC medications, it also managed a modest portfolio of niche personal care products including Olay, as well as the Pantene and Vidal Sassoon shampoo brands. Unhappy about the overture from a foreign buyer, RVI sought protection from P&G. The main appeal to P&G of RVI was its Vicks brand, which fitted neatly with the healthcare group Norwich Eaton, which the US group had acquired a year earlier. As a result P&G was persuaded at short notice to top Unilever's offer with its own bid of $1.2bn.